Are you applying for an apprenticeship? Click Here. Your high school transcript showing a successful grade 12 Tech Math, English and Science. If you have attended a post secondary level of education, please include this transcript also. Any safety training certificates you've acquired. For example: First Aid/CPR, WHMIS, Fall Arrest etc. 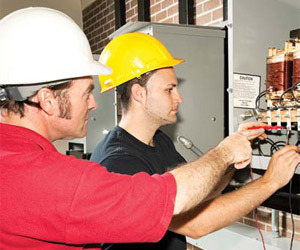 an apprentice with IBEW Local 303.